Get Your Very Own TR-8R Riot Baton from The Force Awakens « Adafruit Industries – Makers, hackers, artists, designers and engineers! One First Order stormtrooper in particular made an impression in The Force Awakens: FN-2199. He’s the trooper who called Finn a traitor outside of Maz Kanata’s castle. Fans have dubbed him TR-8R. 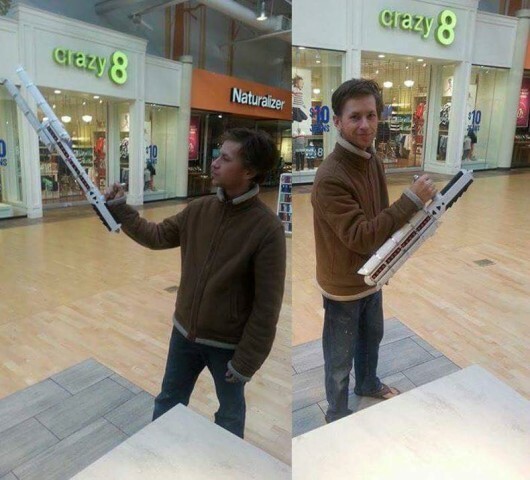 He and his riot baton have inspired a wave of memes at Tumblr, and I’m sure the character will be cosplayed at many conventions in the near future. Blu-Bin is helping that process by offering a 3D printed version of the prop. You can order an unfinished — unassembled and unpainted — kit for $150 or an assembled and painted baton for $250. Get a look at the unfinished prop in this Facebook video.